As poker legislation has started to go forward in several states, many Native American tribes across the country have long scoffed at the idea. These Indian tribes have a strong interest in the gambling industry as they operate a large portion of brick-and-mortar casinos and gambling facilities across the United States. 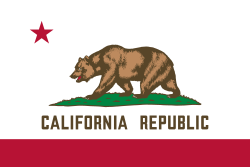 One state that offers Indian run casinos is California. The state had long considered online poker options, much to the dismay of many of their Indian tribes. The tribes felt as though online options would hurt their land-based businesses. However, it seems these tribes may be starting to warm up to the idea after a recent online gaming conference. Capital Weekly recently hosted an online gaming conference and Mark Macarro, the Pechanga Band of Luiseno Indians Chairman, spoke with the Press Enterprise during the event and stated that California tribes are ready to start the process with legislators in the state over online poker legislation. Macarro went on to state that the previous beliefs by the tribe involving online poker are evolving. This new stance by the tribes is encouraging as in the past only a few tribes were in favor of such legislation. The state has a large population and with proper regulation and operation, the state could be a front runner in the online poker market for the United States. It may be that the Indian tribes of the state have realized the potential of online poker after the recent launch of Ultimate Poker as well as other states getting involved in legislation. Senator Rod Wright is currently trying to launch a new bill this year which is titled SB 51. The new bill would see horse racing included and this may be in conflict with a new measure that is being created by the tribes. However, if they are open to online gambling options, hopefully they will be open to discussion so the state can move forward with internet wagering options.